Recent developments in the judiciary once again exposed the extent of the systemic problems in the judiciary. It is clear that the reforms implemented in the court system in recent years failed to achieve their main objective of having justice delivered by independent and impartial judges whose integrity and competence are not in doubt. The three waves of judicial reforms implemented to date have not obtained their objective of improving the judiciary. The main reason for this is that the legislative changes were incomplete, belated, and often adapted to the interests of the influential group of judges. The ruling party is also responsible for appointing non-judge members to the High Council of Justice (HCOJ), the majority of whom failed to demonstrate sufficient integrity and without whose support the HCOJ could not have made its judicial appointments and other important decisions. Today we are hearing outraged statements from some members of the parliamentary majority and ruling party regarding the lifelong appointment of judges. When almost half of Georgia’s judges are already appointed for life using opaque procedures, such reactions from the governing party are belated. It is clear that the government is trying to shift the blame for the situation in the judiciary. At all stages of judicial selection and appointment, we are left with the feeling that judicial appointments are based on the candidates’ loyalty to the influential group and probable nepotism. There are valid concerns that the HCOJ is using its authority and legislative deficiencies to eradicate dissent from the system and to further strengthen its own positions. In this situation judges are reluctant to make critical statements regarding the problems inside the judiciary. The developments regarding Batumi City Court Judge Irakli Shavadze are proof of this. The judge’s statement indicates signs of a crime that should be investigated. Today, court chairs are perceived as chiefs/superiors of other judges. This was further proven by the collective statement issued by judges of Batumi City Court. Judicial administrative positions are usually held by members of the same group, yielding special powers within the judiciary. The February 26 decision of the HCOJ is a proof of this. This decision appointed the HCOJ and influential group member Levan Tevzadze as the Chair of Criminal Chamber at the Tbilisi Court of Appeals, likely as a result of nepotism. Unfortunately, the current membership of the HCOJ is continuing with the established faulty practices of judicial appointment. On February 22, the HCOJ appointed 44 judges for life. Among them were judges towards whom the public has a very strong negative attitude due to their past high-profile decisions. The appointment process was for the most part held behind closed doors, and one non-judge member of the HCOJ, Anna Dolidze, was not allowed to participate in the selection and appointment process of 14 judges. the Parliament implement real reforms, based on which the influential group within the judiciary can no longer abuse legislation for its illegitimate purposes. 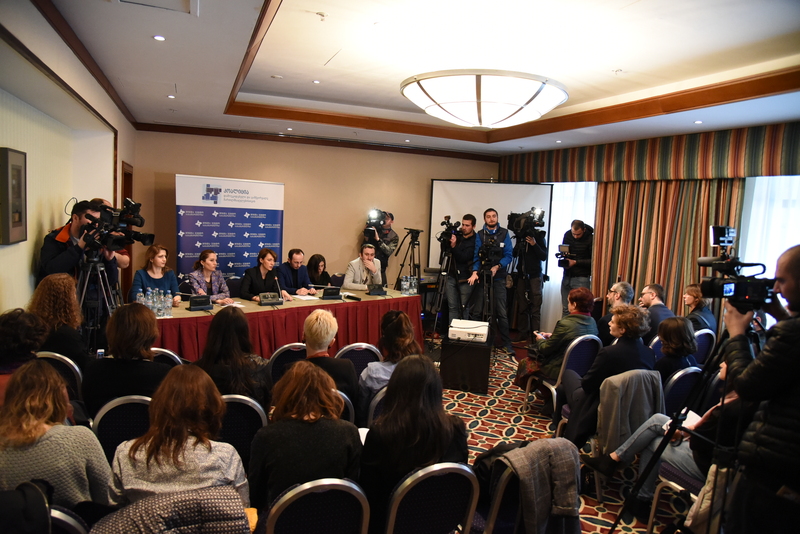 Georgian Democracy Initiative is managing the public relations and communication with media.